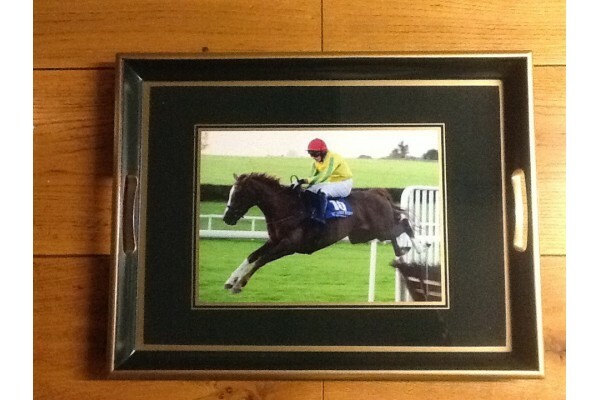 As with the large ones these smaller trays can carry any image you like – your racing colours embroidered onto silk, your favourite horse, or spot in the garden – the possibilities are endless! The trays are all glass fronted for longevity and easy maintenance and make lovely presents to mark any occasion. This tray measures 17" x 13" (43 cm x 33cm).